After many months of being indoors during our cold weather here in East white Plains, NY, we're all ready to get outside to enjoy some warmer weather. Soon enough we'll be turning on the air conditioners, but first an air conditioner tune up should be done. This is because our air conditioners sit for so many months at a time without being turned on. When a mechanical system does this, it is put under a lot more stress when it's turned on for the new season. In fact, that's when we get most of our emergency calls here at Nu-Way Air Conditioning & Heating. Which is why we like to explain how important an advanced tune up for the air conditioner is done before the unit is accessed for the new season. Air conditioning tune ups not only make your unit work at it's peak performance, but also help you to know what to expect from your unit. We'll be able to advise you of the probably longevity of the unit, and what you can do to make sure it lasts as long as it should. Keeping it clean is one way to ensure your unit will last, and an A/C tune up is just what you need before you use your unit this year. Have you notices black stains that look like soot coming from your ductwork? This is a dirty ductwork system at its worst. By the time the grime starts blowing out on your ceiling, making black streaks and stains, your HVAC system is thoroughly grimed up and in desperate need of a good, professional cleaning. The duct is the last part of the Air Conditioning and Heating System. And what goes through it means that is the air you breathe every day. So if the ceiling has black grime on it, what do you think is getting into your body? Yes! All that grime too. Unfortunately, that grime isn't just made of dirt particles. It consists of much more, like oil, dust mites, possible mildew or algae or mold, and much more that you get when a mechanical machine goes uncleaned yet is forced to continue to run. Get your air cleaned by cleaning your duct work. A/C tune ups will also include cleaning many of the mechanical parts of your system, which goes a long way in air purification for your home. When you breathe better air, you'll be in better health. And our expert HVAC technicians can help you every step of the way in getting to a better indoor environment for your home. 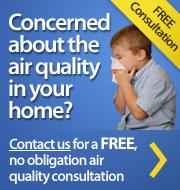 Just give us a call at the number below, and we can give you some options to clean up the air in your East White Plains home. If you need quality HVAC Services you can trust in East White Plains or surrounding areas call today at 914.777.5030 or complete our online request form.